Established in 1963, Nimapara Autonomous College has already covered 54 glorious years, moulding the minds of students from Konark in the East to Pipili in the west from Astarang in the North to Puri in the South. Accredited B+ by NAAC in 2005 and conferred with Autonomous status in 2011, Nimapara College is now a full-fledged NAAC accredited autonomous, Non-Govt.Degree College, the first of its kind in Puri district. It has 15 departments with Hons. Teaching facilities for more than 3500 students. The college was established by a team of freedom fighters and social workers to spread higher education in this area. In this connection the bounteous contribution of late Biju Pattnaik , Ex-Chief minister is remarkable. The college aims at imparting quality education along with instilling a sense of social and ethical values in to the students with a view to making them good citizens. The goal and mission of the college, symbolically represented in the college logo, has been interpreted in the college calendar. 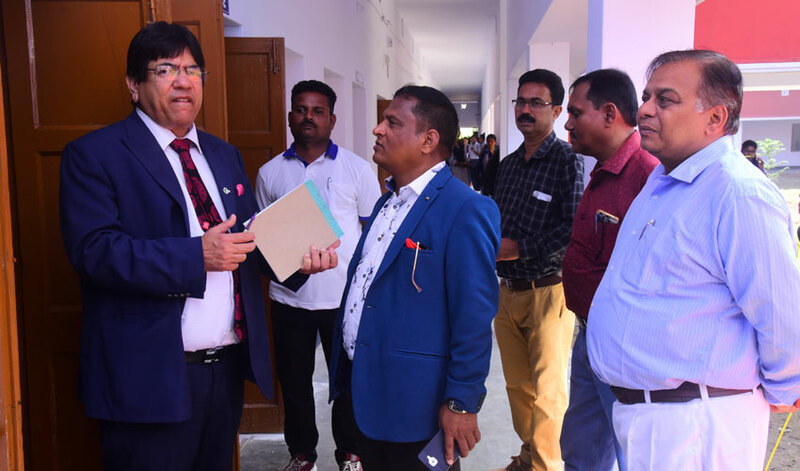 The Management and the staff envisage more job-oriented, self-financing courses to be opened in not- too- distant future to enable the pass out students of the college to face the challenges of real life situation. At present there are only two self financing courses,i.e IFF and IT, running successfully in the college.